Russia’s largest airline Aeroflot’s net profits collapsed by a factor of more than 10 times last year, to 2.8 billion roubles (US$43 million) from the 28.4 billion roubles of 2017. 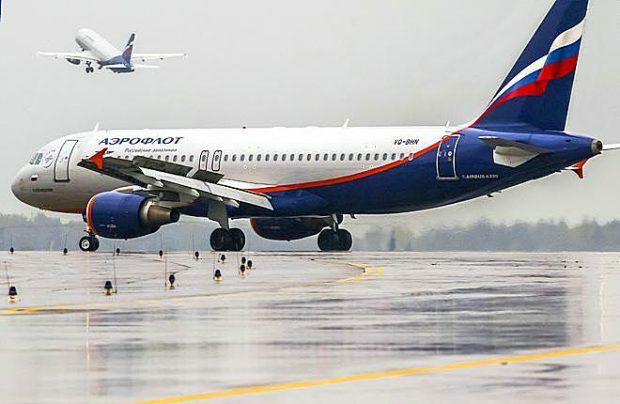 According to the airline’s latest Russian Accounting Standards financial statement, the national carrier managed to “successfully mitigate unprecedented pressure on its financial results from high fuel prices and exchange-rate movements” with strategic cost-savings and optimisation efforts. Unfavourable market factors “had a significant impact on financial results including, in the fourth quarter during which continued pressure on profits from high fuel prices was accompanied by a continued increase in competition in the sector,” the report states. Nevertheless, a growth in operational results and currency fluctuations in the period resulted in a 13 per cent increase in revenues to 504.7 billion roubles ($7.76 billion). The profits collapse came despite last year’s passenger numbers rising to 35.8 million, an 8.9 per cent improvement on 2017. The cost of sales in 2018 increased by almost a quarter, reaching close to 500 billion roubles, whilst gross revenue decreased by 9.3 times to five billion roubles. “The biggest impact on costs in 2018 was the growth in the cost of aviation fuel, the company’s largest operating cost line. Fuel costs rose by 41,749 million roubles (up by 47.7 per cent year-on-year),” the report continues. Industry analysts are forecasting that Aeroflot’s International Financial Reporting Standards (IFRS) results – the major influential reference for investors — to be even weaker. According to aviation authority Rosaviatsiya’s data, all five of Russia’s major passenger carriers – Aeroflot, S7 Airlines, Rossiya Airlines, Ural Airlines and Utair – suffered an increase in the fuel cost share by two to seven percentage points, as fuel price increases spiked between 24 and 58 per cent year-on-year.